Have you ever been in or near an avalanche? Big Mountain skiers everywhere are accustomed to hearing and feeling the reverberations of bombs and other technologies used to dislodge slides, making the areas safer. A few years ago, Taos added a chair to improve accessibility to Kachina Peak. Last week, following inspection by patrol, a slide there killed two. 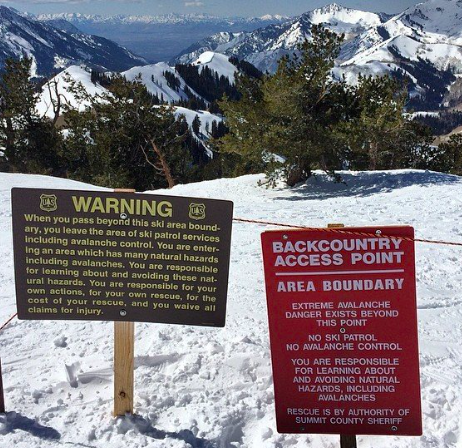 At the top of NinetyNineNinety at Park City Mountain Resort (the part of the area formerly known as The Canyons), there’s a gate and signs clearly spelling out avvy risks of going into that part of unpatrolled backcountry. Similar warnings probably exist on Kachina Peak. Several years ago a friend instructing at The Canyons joined a search party looking for a couple whose car was in the otherwise empty parking lot and who hadn’t picked up their child from daycare. My friend explained the methodical nature of combing the post-avalanche slope where the couple was thought to be buried. It was late in the day, but there was ample light. My friend, a geologist, had been trained to seek anomalies…things that were different from the surroundings. Looking up the slope, he detected something angular, possibly the back corner of a ski. He told the search leader, who advised him and the rest of the party to continue probing the cement-like snow to detect what might be buried below. They found nothing until they reached the angular ski tail jutting from the snow. It led them to the two buried bodies. A tragedy. Last year, I became friends with a man in his 40s who was rescued from a backcountry avalanche. I don’t remember his full description other than how horrific an experience it was and how, after months of hospitalization and rehabilitation, it altered his life. The website of the National Avalanche Center, a unit of the National Forest Service, shows 551 US avalanche fatalities since 1998. All but five (on Mt Washington in NH and on Mt Mansfield in Stowe) occurred in the West. Most were in back and side country. 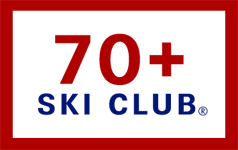 177 skiers died. 68 boarders died. 2 were snow shoers. 196 were snowmobilers. 48 were climbers. Five were ski patrol. This year, alone, there have been 26 snow-related deaths at European resorts. Once, skiing a remote in-bounds section of The Canyons, I set off a minor slide. It only made it to the tops of my boots, but it was dense and difficult to get free. There are older skiers who seek out the adventure and solace of side and back country. I no longer have the lungs to climb, but if conditions are right, I rarely hesitate to take a gate or duck a rope for a promising patch of powder on the other side. But with every year I think a bit longer before I do. Mad River Glen (VT), Sugarbush (VT) and Snow King (WY) announced free skiing benefits to furloughed government employees. Sugarbush upped the ante by extending the freebie to immediate family members. The deals will end when the shut-down ends. Ski-Mojo and Elevate are products for those experiencing knee problems. Both are advertisers. 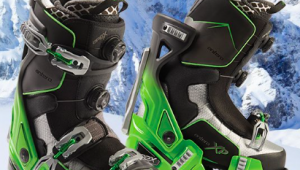 Ski-Mojo is a set of light-weight shock absorber springs that reduce pressure on the knees by 33%. Worn under ski pants, the device reduces pain and fatigue. The people I’ve talked with who use Ski-Mojo, swear by it. Elevate is a soft, robotic ski exoskeleton that boosts quad strength and reduces muscle fatigue and joint pressure. The product causes loads to pass the knee entirely; improving knee stability and preventing normal wear and tear. Elevate is available to demo at locations in Lake Tahoe and Park City. Resorts throughout California and Nevada will participate in Ski California Safety Day this Saturday, Jan. 26. Each of the 15 participating resorts will host activities designed to inform guests about skiing and riding safely. Topics range from avalanche and deep snow safety to proper chairlift loading and riding. More at skicalifornia.org. Will Renovated Snowpine Bring New Vibe to Alta? That’s the question explored in an article this week in The New York Times Travel Section. The Snowpine Lodge was the funkiest of Alta’s five lodges. I know this from multiple stays at each of them over my 45+ years skiing Alta. Accommodations were less than luxe. Food was okay. Guests – maybe because we were all subjected to the same musty smells and low, head-bumping passageways – always seemed to bond. That was back then. The new Snowpine is said to be super-luxe, Aspen or Vail style…with prices to match. It may raise eyebrows among readers who know and love Alta, or simply raise the bar for the other lodges. The world’s best snowboardcross and ski cross athletes will compete at Solitude, Feb 1-3 in the 2019 FIS World Championships. It will be the biggest winter event in Utah since the 2002 Olympics. The single strip airport is about 20 miles north of the resort. 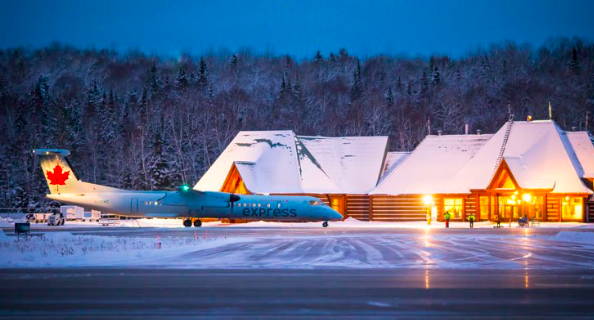 Porter Airlines and Air Canada flights connect through Toronto. A quick check shows that New Yorkers and Bostonians can get round trip fares are as low as $275. Both airlines include free flights for kids and free lift tickets. Click here for details. That’s the plan for this and future seasons, conditions and US Forest Service permitting. Teton Gravity Research generally produces interesting ski videos, and this one (4+minutes) is no exception. It focuses on the challenges a young skier faces at the top of a cornice before skiing a beautiful, steep line. Kings and Queens – The Evolution of Corbet’s Couloir is fun. The 7+ minute video shows a competition of men and women skiing and boarding Jackson Hole’s famed chute. Please comment if you’ve had the Corbet’s Experience, and we’ll compare notes. Mirror Lake Inn ,in Lake Placid, is a lovely place to stay when visiting Whiteface Mountain and other North Country attractions. Starting this season, Andrew Weibrecht, son of the Inn’s owners and an Olympic medalist, is available to ski with Mirror Inn guests at Whiteface. For details, click on the adjacent ad. Cell Phone Dying on the Mountain? Try the GearBeast phone holder. The $9.99 – $12.99 device (SeniorsSkiing.com readers receive a 20% discount; enter SENIORS-SKIING at checkout) fits over the neck and under the parka where your body warmth keeps the phone battery from draining. Other benefits? You won’t drop the phone when using it on the lift. And the mini pocket for credit card, ID and a few bills lets you leave bulky wallets in the car or lodge. Click on the company’s ad. This brought back memories of an avalanche seminar I attended at Crested Butte sometime in the nineties. We were instructed by specialists from the Forest Service and the avalanche leader from the CB ski patrol. The lead guy from the Forest Service started things of with the quote, “All of the avalanche experts are DEAD!” It was a good message that says, don’t mess with potential avalanches. This brought back memories of an avalanche seminar I attended at Crested Butte sometime in the nineties. We were instructed by specialists from the Forest Service and the avalanche leader from the CB ski patrol. The lead guy from the Forest Service started things off with the quote, “All of the avalanche experts are DEAD!” It was a good message that says, don’t mess with potential avalanches. In my 50s I was into skiing major routes on big mountains. For my first avalanche, I was just stupid. For my second avalanche, we did everything right (my partner was head of avalanche training for the entire region), and I still wound up being precipitated 1200 feet down a 55-degree chute. Avalanche prediction is wishful thinking. I quit backcountry skiing and became a ski instructor. had been cleared by the ski patrol minutes before. We made about three turns when a slab avalanche started by a traversing skier caught us. It was subsequently classified as a class 3 avalanche capable of destroying a small building. We were carried over 300 yards and buried for app. 1/2 hour. I survived. If you are the least bit uncomfortable about a slope or a line with the potential of an avalanche don’t go. Unpredictable–how true! When I took an avalanche course in 1979 it began with a USFS film (I think it was called White Death but I can’t find that specific film on the web) looking across a valley at a wide, high snow bowl when all of the sudden an avalanche breaks loose from the top (it was intentionally triggered for the film). It was a climax avalanche: meaning that the entire snowpack down to the ground let loose. You could see mature conifers getting tossed way up into the air like toothpicks as it gained speed. It roared down and just kept coming, eventually across the road and unexpectedly right over the camera lens. The camera guy died. 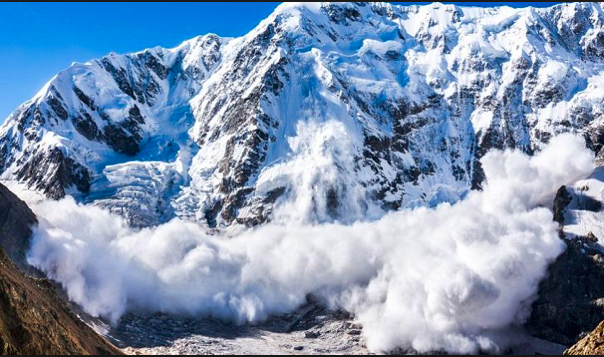 Avalanche: White Death is a famous National Geo film. The photographer was not killed. His two companions were briefly buried but escaped injured.